Mary Ellen Santa, 86, of Huntington, IN, passed away on Wednesday, August 29, 2018,at The Heritage of Huntington. Mary Ellen was born on October 24, 1931, in Huntington, IN to Paul J. and Catherine (O’Keefe) Stoffel, Sr. Her parents preceded her in death. Mary Ellen was a 1949 graduate of Huntington Catholic School. 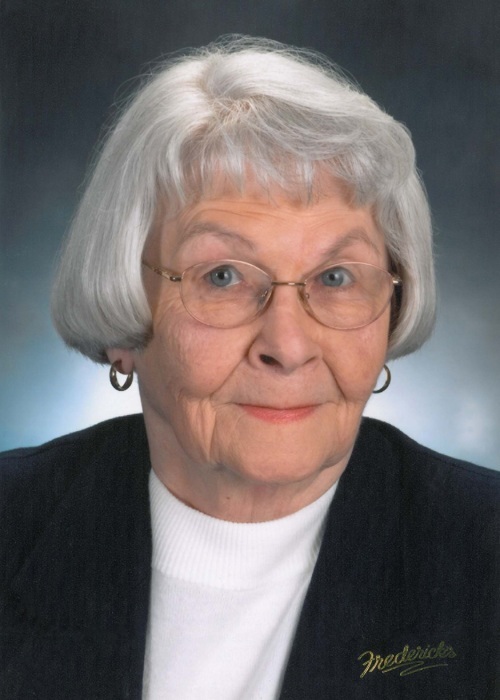 She was a legal Secretary for Palmer, Bowers & Brewer, County Clerk from 1976-1983, Administrative Assistant to Mayor Ron Schenkel, Administrative Assistant at Huntington Township Public Library, and then retired from Our Sunday Visitor. Mary Ellen is survived by two sons, Rob (Missy) Santa, Bloomington, IN, Joe (Michele) Santa, Huntington, IN; two daughters, Michelle Howenstine, Zionsville, IN, and Paula (Robert) Garrett, Huntington, IN. She is also survived by 11 grandchildren, Jay Santa, Jordan Santa, Zach Figg, Brooke (Matt) Solan, Laura Howenstine, Jessie (Jerry) Wise, Lee (Lanna) Scheer, Rick (Becca) Scheer, Shafer Garrett, Michael (Brittany) Santa, and Maria Santa; and 3 great grandchildren, Ainsley Joelle Scheer, Isaac William Santa and Richard Vincent Scheer, Jr.. Along with her parents she was preceded in death by one brother, Paul J. Stoffel, Jr.; one sister, Kay Crawley; and two grandchildren, Theresa Marie Scheer and Joseph Howenstine. Calling hours will be held on Tuesday, September 4, 2018, from 4:00 p.m. to 7:00 p.m. at McElhaney-Hart Funeral Home, 715 N. Jefferson Street, Huntington, IN. Recitation of the Rosary will be at the funeral home at 7:00 p.m.
Additional calling hours will be on Wednesday, September 5, 2018, from 9:00 a.m. to 10:00 a.m. at St. Mary Catholic Church. Mass of Christian Burial will be held on Wednesday, September 5, 2018, at 10:00 a.m. at St. Mary Catholic Church, 903 N. Jefferson St, Huntington, IN with Father Stephen Colchin, Fr. Tony Steinacker and Msgr. Owen Campion officiating. In lieu of flowers memorials may be made to Huntington County Humane Society or St. Mary Catholic Church in care of McElhaney-Hart Funeral Home, 715 N. Jefferson Street, Huntington, IN. Burial will be in Mt. Calvary Cemetery, Huntington, IN.